Our body is designed to take air in through the nose to filter, humidify, get the air ready before it goes into the body. If you breathe through you mouth, you are forcing your tonsils to do the work of the nose; clean the air, filter the air, humidify and clean the air. 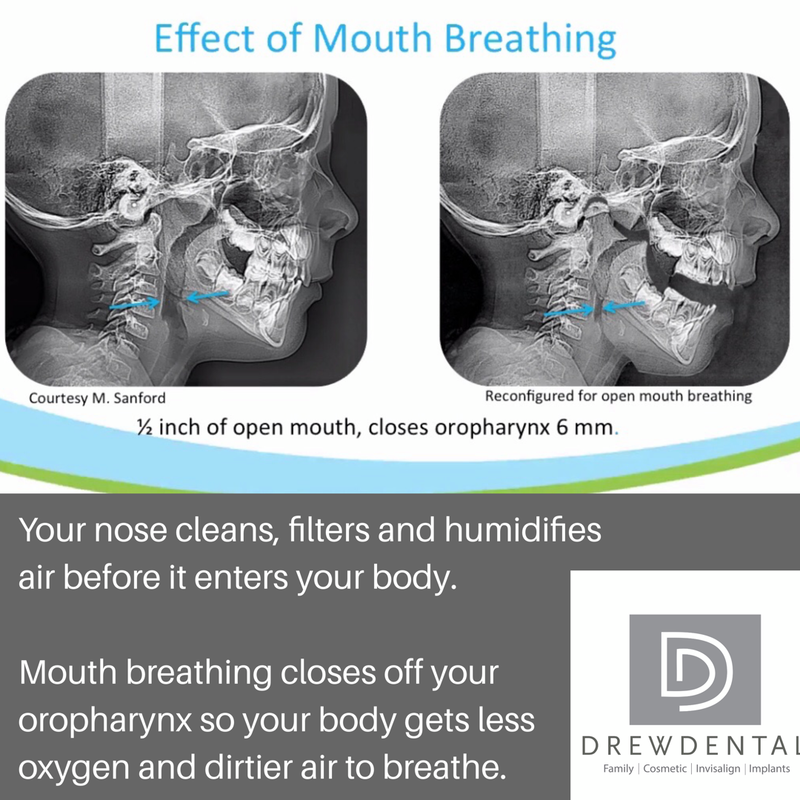 Your body is getting dirtier quality air when mouth breathing. Mouth breathing forces the Tonsils to work harder and harder, and in response they get bigger and inflamed. This inflammatory response is a root cause of Allergies, developing from less clean air entering the body. What you can do: When you establish sufficient nasal breathing, your tonsils will shrink down because you’re not forcing the tonsils to do the work of the nose. Dr. Allyson Drew and Dr. Jason Drew are Healthy Start providers and can evaluate you for Sleep Disordered Breathing and Mouth Breathing. Call today for a consultation.